This evening I had dinner with some friends at Zupa’s (can you tell how much I love it there?). Then we went to Brigham Young Historic Park for a concert in their Concert in the Park series. The concert we saw was Broadway & Co., a group of local theater performers who sang show tunes. I love show tunes and I had a really good time! Two of my friends were talking and laughing during the whole thing. I still love them dearly, however I am glad that there were two other friends separating me from them. Had I been right next to them I would have been more bothered than I actually was and I may have said something rude. I know it was a free concert, but still, I take Broadway songs very seriously. Anyway, my favorites that they sung were “Nice” from Lucky Stiff and “Shy” from Once Upon a Mattress. I also enjoyed “The Wizard and I” from Wicked, though the girl who sang it was clearly ill. But she did her best and we cheered for her like mad! This evening I met my sister Stacey at Red Robin to redeem my free birthday burger. I got the Whiskey River BBQ Burger. It was good, but I feel like they should have also given me my freckled lemonade for free. Just saying. When we went home we watched the first DVD of the first season of “The Big Bang Theory.” My boss let me borrow the season, and I’m so happy she did! I have many friends who watch and love this show, and I knew it would be a show I would also love, yet I had not ever watched it. So happy to do so now! I’ve discovered that I am totally a female Leonard. It’s just true. For our staff meeting after work today I brought cookies to celebrate all the June birthdays (there are four of them at the center). 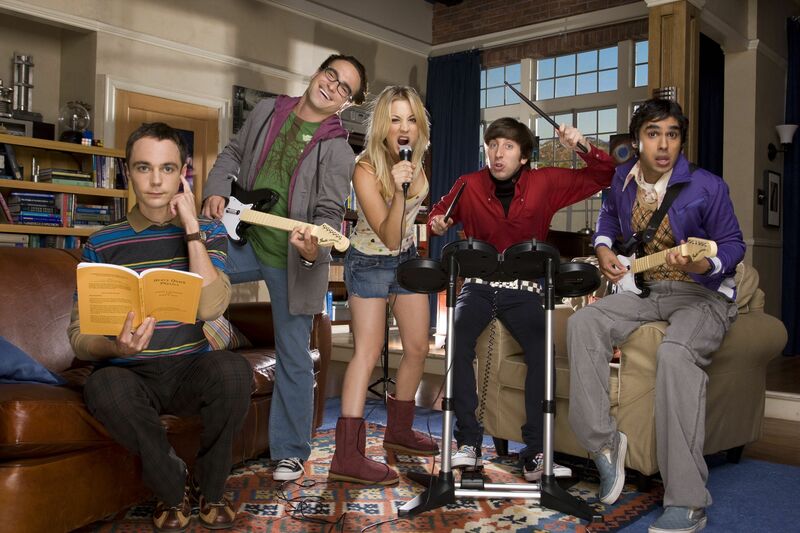 After my meeting I watched the second DVD of the first season of “The Big Bang Theory.” Yes! This evening I will be attempting to hit golf balls on a driving range, scarfing Cafe Rio, then watching a movie that has yet to be determined. Tell you more about it later! “The Big Bang Theory” sounds like a fun show. I’ll have to get hold of the DVDs so I can find out what Leonard is like! I’m currently watching the first season of “Monk” on DVD. It’s a mystery series about an obsessive-compulsive detective who is good at solving crimes because he notices the little things that the police don’t. Sounds like you’re having a great celebration. Happy birthday!